With our Lord Jesus as the Savior Carpenter, then I am merely a random handyman, following along after Him; learning to use a small set of tools He's given me; helping Him build His Kingdom on Earth. With the red cup crisis of 2015 passed, a true Christmas catastrophe yet looms: Time-honored tastes from Christmases past are in danger of extinction, forever lost from the hors d’oeuvres plates and family feasts of future generations. 1) Eggnog: This spicy beverage blend of egg, cream, sugar, egg, cream, sugar and spices perhaps took its fatal blow in the health-crazed ’80s, when cholesterol was enemy No. 1. Today, we have Islamic terrorists and/or climate change for that. Yet, the sumptuous, frothy glass of eggnog never made its comeback — even though vinyl records have. Spiked or straight, and even removing the egg and most of the nog from modern blends (whatever nog is, we don’t want to know), eggnog to this day remains at high risk. 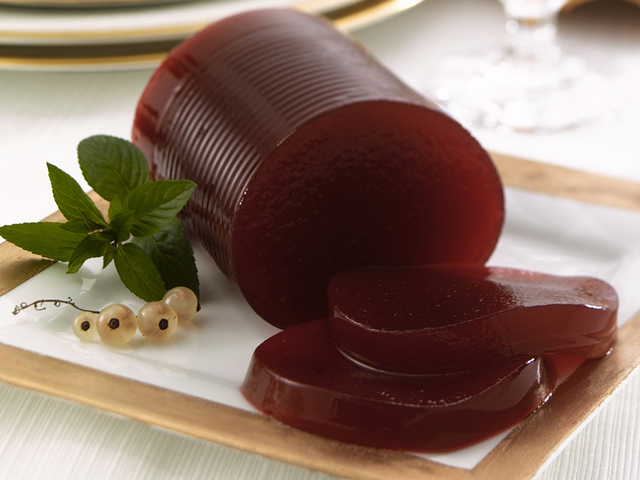 2) Cranberry sauce: A longtime staple of Thanksgiving and Christmas alike, this dish is too often sacrificed for the latest feast fad. Maligned as neither a dessert nor a savory side, it’s nonetheless an essential flavor for tying together all others in sweet-and-sour harmony: turkey, stuffing, and potatoes and gravy, all on a fork with cranberries at the same time. Yum! Aggravating its demise is a run on cranberries for other products; similar to ethanol putting a strain on once-abundant corn grain, cran-everything: drinks, teas, candies, lip balms and skin exfoliants — have robbed the dinner table of this once commodious treat. 3) Beets: This red-hued holiday dish, best served not at all, could pass into eternity and like the mosquito, would not be missed, but would definitely be noticed. With great cheer. 4) Gingerbread: Long synonymous with Christmas, this treat in recent years has been moved aside to make way for its blander cousin the sugar cookie — the Wonder Bread of Christmas flavors. Even gingerbread houses have been made from grahams for at least a generation. The deep flavors of molasses and ginger are too strong for today’s pabulum palates. 5) Sugarplums: The original gummy treat, these sweet, fruity, sugar-coated spice drops are the Christmas equivalent of a Werthers from grandma’s purse — too uncool even for the hipsters to adopt. So sad. 6) Nuts: A carved bowl full of in-the-shell peanuts, pecans, walnuts, hazels and filberts used to be set out shortly after Thanksgiving, alongside the wreath, tree and other Christmas trimmings. These were mostly enjoyed by the menfolk of the house, with kids volunteering to crack the nuts as a sort of off-season firecracker. My guess is that the labor involved in this treat — once the fun of explosively opening the nutty packaging, you must patiently pick tiny slivers of nutmeat from deep crevices of the shell — brought nuts their due fate. That, and also the pain of finding a shell shrapnel on the floor with a bare foot — a pain similar to, but inconceivably worse than that of stepping on a Lego. We can’t take any of these treasured tastes for granted; licorice is already extinct. Even peppermint could find its way onto the list, supplanted by more common flavors of chocolate or the novelty of sour gummy worms. Together, we must stem the tide before it’s too late. Do your part to save — by savoring — these threatened holiday flavors. Lest we forever change the meaning of the season. The phrase “from A to Z” encompasses everything in the entirety of a known and finite range; in other words, it captures the whole kit-and-caboodle. So much so that the Amazon.com logo, which includes both letters, draws a smirking smile that points, well, from A to Z.
It’s hard to guess if the Alpha and Omega of the original term is smiling about the commercial use of His namesake. The letters together, representing the first and last letters of the ancient Greek alphabet, is one of the many names for the Lord. This metaphorical use in Revelation introduces the great I Am as the Alpha and Omega — both the beginning and the end. Many of our most popular idioms that endure to this day stem from the Good Book – or rather, the 66 great books that make up The Holy Bible. Somehow – miraculously – dozens of these colloquialisms from millennia ago have survived multiple translations and innumerable cultures through time to remain in common use today. Idioms From Heaven collects, dissects, and shares this pithy wisdom to edify and educate all. If you came of age during the Cold War, you knew Armageddon as a thing: the cataclysmic end of the world and of all people, civilization and life as we know it — notably due to nuclear war or some other man-made disaster. Or a bad Bruce Willis sci-fi action movie, perhaps. More accurately; indeed, biblically, Armageddon isn’t a thing, but rather, is a place: perhaps a mountain or plain near the ancient city of Megiddo. At this location, according to interpretations of Revelation, the battle to end all battles at the end times will take place and Satan and his demonic army will be defeated at the hands of God’s angels and the forces of good. The end-times event gets its name from the location it’s set to occur. At the advent of horrific atomic technology capable of death and destruction on a supernatural scale, our World War III prophesies naturally took on the same name. While this final battle is sure to be scary for those still here to bear witness, it nonetheless will herald the beginning of the end, toward a new day, a new Heaven and a new Earth for all God’s people. I wrote the following article for The Airscoop, the official installation newspaper of Vance Air Force Base, in February 1998, when I was stationed there as a public affairs journeyman. VANCE AIR FORCE BASE, Okla. – For the superstitious, 1998 could be a very unlucky year, as Feb. 13 is the first of three Friday the 13ths in 1998. Many of the superstitions modern western people hold dear – including the beliefs that 13 is an unlucky number, our human fates are tied to the patterns of the stars and black cats are evil – originated more than 5,000 years ago in the Middle East, specifically, in Mesopotamia, according to Dr. Michael Seth, professor of history at Phillips University in Enid, Okla. In addition to continuing the belief that 13 is unlucky, Seth pointed out that people still believe in “lucky number seven,” especially in games of chance. “Although these are really ancient Middle Eastern superstitions and beliefs, we still kind of like them,” he said. According to Capt. Wendi L. Betz, behavioral health chief here, superstitions are formed when people erroneously draw connections between neutral phenomena and good or bad events in their lives that immediately follow those phenomena. “Who knows how our superstitions got started in the beginning, but maybe somebody had a black cat cross their path, and then something bad happened to them, so they connected the two,” she said. For the most part, Betz said, superstitions are a normal response to our often-random world. She added that even animals have been shown to display superstitious learning, citing pigeons that developed elaborate “rituals” designed to elicit a food reward during a controlled experiment. Betz said humans invent their own rituals to create a desired result or to stave off an undesired result. “I’ve seen some guys on the softball team that have a certain warm-up routine they do every time, or there are the people who play bingo, who bring all their lucky dolls and stuff with them,” Betz said. Superstitions in a culture’s collective consciousness can be self-perpetuating, because people look for anything that can support their belief in the superstition, she added. “If you have a superstition about Friday the 13th, you’re going to look for something bad to happen to you that day, and you’re going to pay attention to it (if it does occur),” Betz said. “Bad things can happen on other days than Friday the 13th, but that doesn’t count, because it doesn’t reinforce any belief,” Betz said. “Then again, maybe black cats and Friday the 13th are bad, and they’re actually causing bad things to happen to people,” Betz added. Enter the frightful world of Fear Naught Tales … if you dare! The first book in a planned 13-volume series launches Friday, April 13, 2018! On these pages, find terrifying tales of horror and suspense for middle grade (8-12) readers. Witches, vampires, ghosts, and zombies await, ready to show you around their dark and richly illustrated world. Like an ancient oracle, the Tell Time and Scare Rating features will guide you to the just-right story to read. Crack open Fear Naught Tales … for spooky stories to read and tell! For men, that lump in your throat — along with a missing rib — are distinct features that come to us courtesy of Adam, the first man of creation. The actual apple that tempted woman, man and mankind is instead thought to have been a pomegranate, an apricot, a fig or some other fruit more common to the Fertile Crescent than apples were in antiquity. However, the Bible is mute on the specifics of the matter, as disclosed in Genesis 3. Anatomists attribute Adam’s apple not to a lodged piece of fruit — or guilt — choking us as yet another consequence of our original sin, but rather, to thick cartilage that protects the larynx, or voice box. Contrary to common belief, women have lovely lady versions of these lumps, too — would we call theirs Eve’s apples? Let’s not … The fairer variety typically don’t grow as large, protrude at a slightly different angle, and women generally have a higher body fat percentage than men, which affects how their apple appears. A man’s larger voice box gives him a deeper voice, but also a more prominent Adam’s apple. To round out your body of knowledge on the topic: the Adam’s apple is found in non-human species as well. If someone tells you she doesn’t know a person from Adam, she’s telling you she doesn’t know him (or her, of course). More liberally, it’s possible that she’s heard of him or has even met him virtually; she just has no first-hand knowledge of him and wouldn’t recognize him in a crowd. The Adam in this axiom is, of course, the first-created man, introduced to us — and into the world — in the Book of Genesis. In the expression, the comparison is to this historical Adam, who predates us to such a degree that no one can say for certain what he looked like, even though he’s familiar to us by reputation. In this same sense, being the archetypal human being, Adam represents all mankind, and she simply can’t distinguish the person being discussed from anyone else amongst the 9 billion of us traipsing about the Earth today. A variant to this expression has perhaps passed into history, though the sentimental amongst us can still listen for Nick, the new owner of Martini’s tavern, tell the never-was George Bailey,“I don’t know you from Adam’s off-ox,” in the Christmas classic “It’s a Wonderful Life.” The off-ox is the one behind the first ox relative to the driver, and thus, is least visible — and thus difficult to discern from any other ox.